I don’t know about you, but it seems to me that the “featured image” for my blog posts is almost never the image I’d have chosen to feature. The featured image is the one that appears with my blog posts and links on Bloglovin, in the Related &amp; Popular Posts images, on Facebook, and sometimes on Pinterest, too. Fortunately, there is a way to tell Blogger which image to use as your featured image. It’s an extra step to go through, but it’s pretty quick and easy, and I think it’s worth it! Sometimes, the image I want to put first in a post is a quote or the logo of a linky I’m participating in. Definitely not what I want Pinned or shared on Facebook as the image for the post. 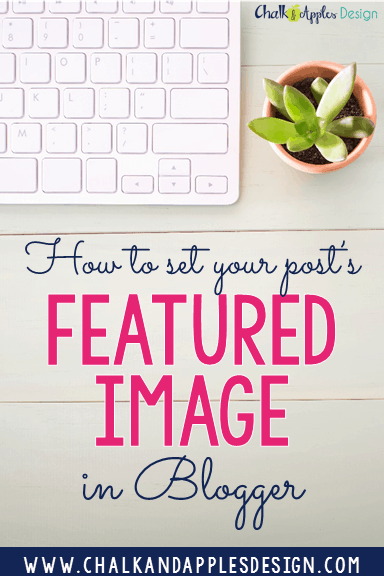 Once you’ve written your post, decide which image you want to feature. Add this image at the very top of your blog post, before any of the text. This tag will leave the image’s HTML code at the beginning of your post, but will not display the image. Social media sites will pull this image when you share the post link. 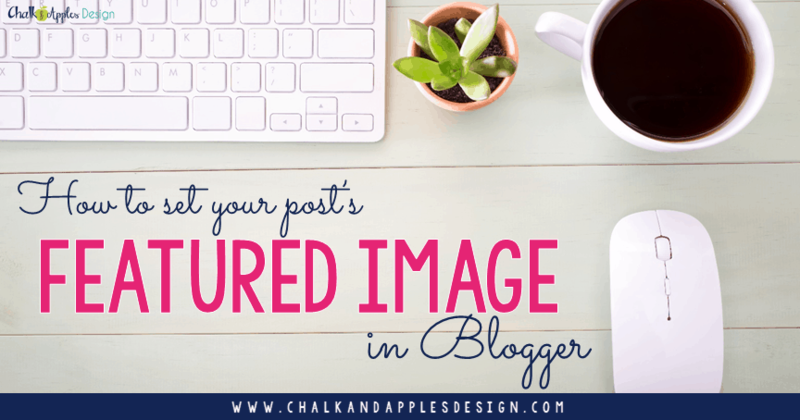 Compose the rest of your post as usual, adding images where you’d like them to appear in your blog. That’s it! Easy-peasy, right? Grab the image below to pin this post, so you’ll have the code handy when you need it! That is an amazing tip – thanks so much for sharing! Even better! Post template created – thank you! Great tip! I just added it to my post template! Let's see if I remember it when I create posts! You're not the only taking down Christmas decorations. Waiting until the epiphany wasn't accidental, but it's way past time for it to come down. Good luck! 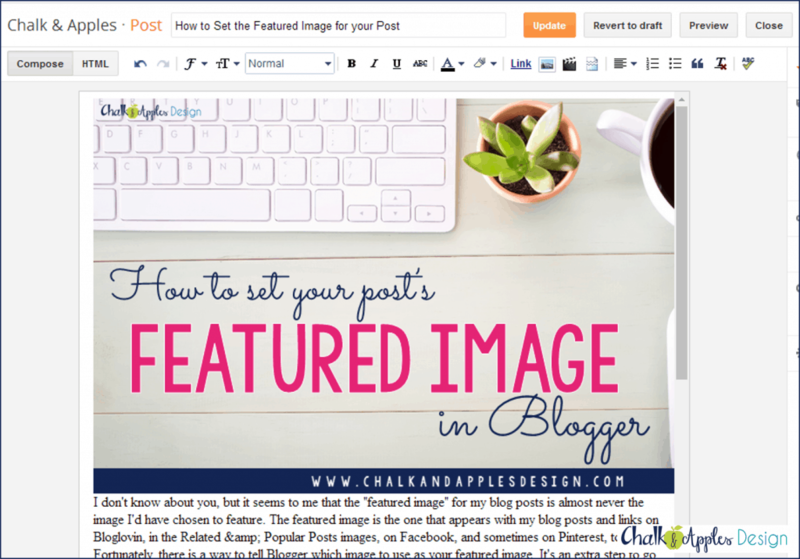 Thanks for the blogger tip! Hi Kristen! I have nominated you for a Liebster Award! Check out my post Liebster Award to learn how you can accept your award. Funny…we all seem to have laundry and lesson plans on our lists! Congrats on your Liebster! Thanks for the tip! I think laundry and lesson planning is ALWAYS on my list…when I go to check them off they seem to get added to end of the list again. Thank you so much for sharing this tip! It bugs me when a good image isn't chosen for a social media share, but I never thought to question if it could be fixed!! Thanks!!! Thank you for the tip – it's great. Only one question – how do you get a different pic to show for FB, Pinterest, etc, since they all want such completely different graphics? My Pinterest-sized graphics look awful on FB, etc.